Home > Festivals > ACL > ACL Lineup Announced/Tickets Available Now! ACL Lineup Announced/Tickets Available Now! 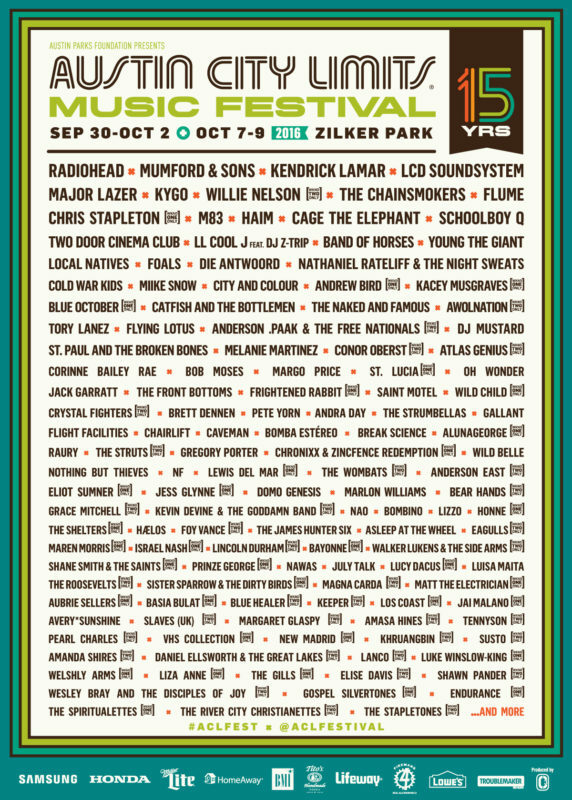 ACL Festival features a diverse lineup of acts with 8 stages and more than 130 bands. Every year since 2002, bands from all over have flocked to Austin, Texas to play the stages at Zilker.